As anyone who has studied beer will tell you, there's not a lot of company amongst the lofty "beer countries" of the world. Most beer textbooks will make mention of Germany, Belgium, the UK, and then the way the US and other countries have taken or modified those styles. Historically, it wasn't at all uncommon to walk into a well-stocked import section and see nothing but beers from these core countries. But in case you didn't notice, things in the beer world have been changing, with an emphasis on "world." Countries that have never been known for their brewing history are suddenly hotbeds of beer innovation. Younger generations are bucking trends and opening up microbreweries deep in the heart of wine or liquor cultures. And the kicker about all of this is that at an increasing rate, they're really good. So we hit the road to sample some wares, polled some industry experts whose job it is to be ahead of the curve on all things beer, and checked any preconceived notions to come up with a group of countries that can be considered the draft class of the next wave of global beer culture. Even though it's host to a booming beer culture that has begun to attract international attention, Spain has yet to be welcomed into the inner circle of beer recognition. But with the way things are going, chances are it won’t stay that way for long. After getting off to a slower start in the late '80s, the past five years have seen a boom of epic proportions for Spanish beer. 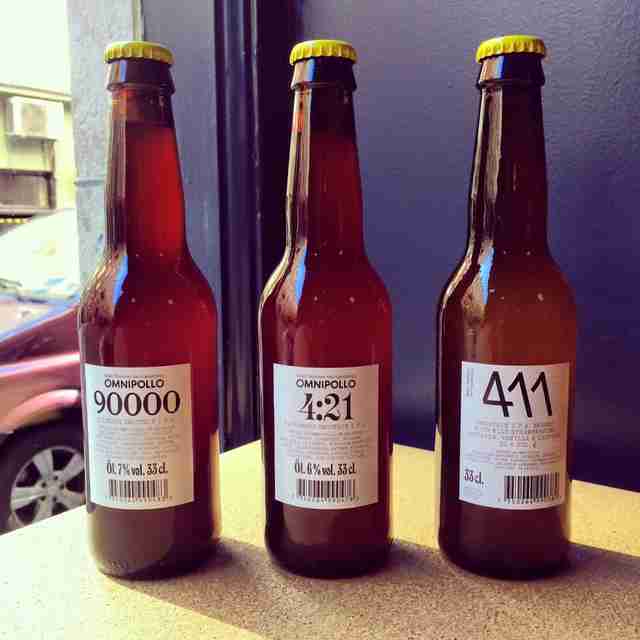 "Microcervecerías" have popped up from city centers in Cataluña, Madrid, and everywhere in between to the tune of over 200 for the country. It doesn't hurt that a surge in sales has followed as young people there veer away from drinking wine and toward beer. These days, it's not at all uncommon for popular brewers from around the world to swing through for collaborations with the country's top brewmasters. 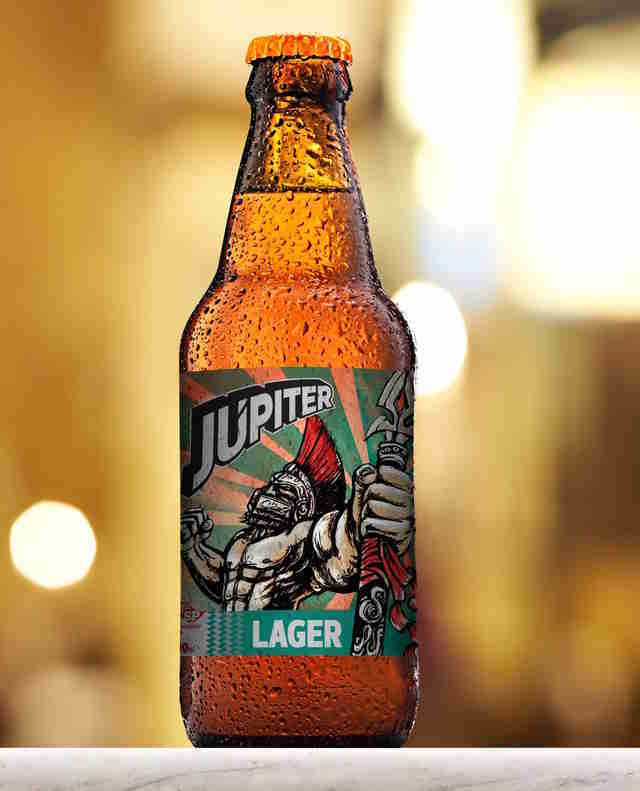 Already a massive producer of macro beer (and the home of one of the biggest beer conglomerates in South America, Ambev), Brazil is no stranger to brewing per se. So it should come as no surprise that this background of big-time brewing know-how has enabled it to quickly capitalize on a thirst for more adventurous beers throughout the country. Craft beer culture and awareness has opened up in a way similar to the US, with smaller producers quickly winning over the hearts of locals: today, there are over 300 small breweries in operation producing beer to help quench the double-digit annual growth craft beer is experiencing there, which is even more impressive, given that it was already the third-largest beer market in the world before craft beer started its boom. Japan's history of detail-oriented production and ingredient-focused culinary culture has long made it a suitable home for plenty of macrobrewers. 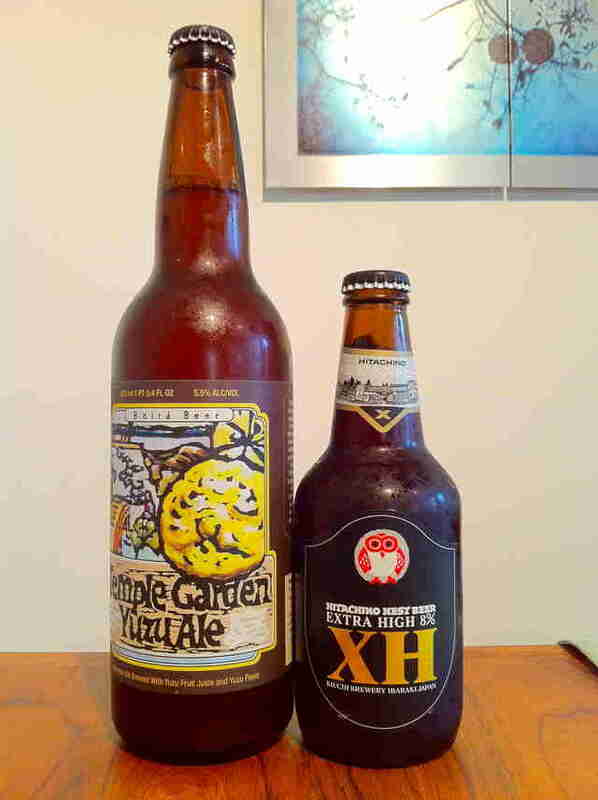 But after a change in regulations in the mid-'90s, microbreweries began taking off, quickly reaching a level of admiration amongst locals and international drinkers. Nowadays, you're just as likely to find a mind-meltingly good Belgian-style witbier brewed by one of the 200+ craft breweries as you are a dry Irish stout or German-style kolsch. As its craft culture matures into adolescence, a more distinctly local style is starting to form, and the increased production is slowly making it easier to find more of its beers around the world. It might seem weird to call a country so known for beer "emerging," but the beer culture in Ireland goes way beyond just pints of Guinness these days. The country's brewery count grew more than 10 times in size in less than a decade, from just five breweries to over 60 today (and growing). 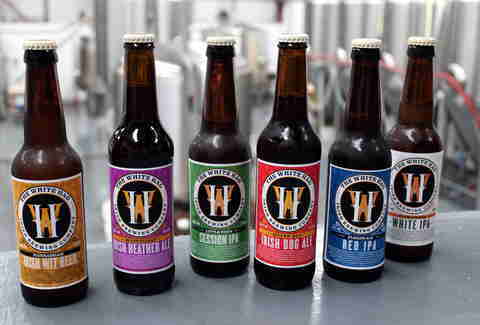 To top it all off, the government enacted legislative changes and direct government support for upstart craft brewers, which is probably how breweries like Kinnegar, Galway Bay, and White Hag have begun gaining local and international attention for such young businesses. 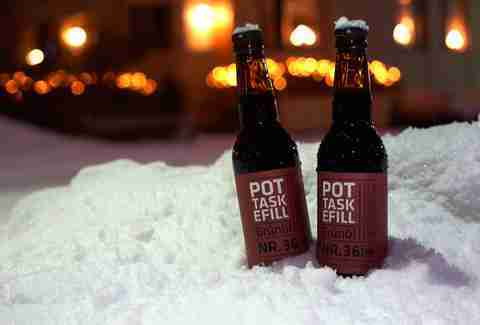 As we've mentioned before, local regulations don't make it easy to be a beer drinker in Sweden. But if you think this has stopped the locals from getting into the beer-making game, then opening over 100 craft breweries in the span of a decade and a half must've just been a fluke. Top-notch breweries like Omnipollo (known for hop-forward recipes and bombastic stouts) and Brekeriet (known for incredible sours) show how diverse the country's tastes are, despite being the second-largest importer of American beer after Canada. 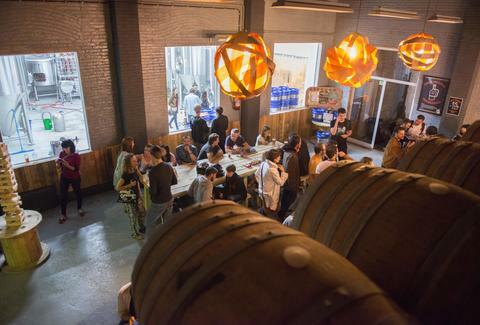 Even established breweries have taken note: in 2014, Brooklyn Brewery opened a sister brewery, Nya Carnegiebryggeriet, which has quickly won over locals. 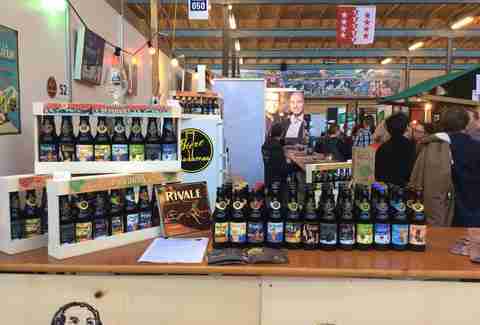 People who are well versed in international beer or who have traveled through Switzerland may not be surprised to see its inclusion on this list. And even if it's prohibitively costly in most cases by anyone's standards (Zürich is the second most-expensive city in which to buy beer, after Oslo), Swiss brewing is booming in both quantity and quality. The remaining hurdles, including combating restaurants and supermarkets that have lucrative deals with larger breweries, are slowly being eroded by a local drinking population who are thirsty for the good stuff. The numbers don't lie: a recent count has around 400 craft breweries in operation, which makes Switzerland seventh in the world for number of active craft breweries (and the highest per capita in the world), above both Germany and Japan. Forget the cliche tourist stories about eating fermented shark, whale, and puffin: Iceland is about to be known around the world for its incredible beer (and puffin!). But unlike any other country on this list, Iceland is the only one to have had the beverage banned by prohibition until 1989. Not that it hasn't made up for lost time or anything: the craft beer scene there is as hot as that volcano no one can pronounce. Beer is now the most popular alcoholic beverage in the country, and Reykjavik, a city of 120,000, has responded by opening more world-class craft beer bars than most cities five times its size (including a Mikkeller & Friends), whose lists appeal as much to the locals' appreciation of their homeland's hits as they do a well-studied international beer geek. Some celebrate Beer Day on March 1st (think of it as their version of Repeal Day), but most locals also celebrate great beer on most days ending in "y." Of the beer experts I quizzed for this list, there are very few who wouldn't put Italy near the top of it. 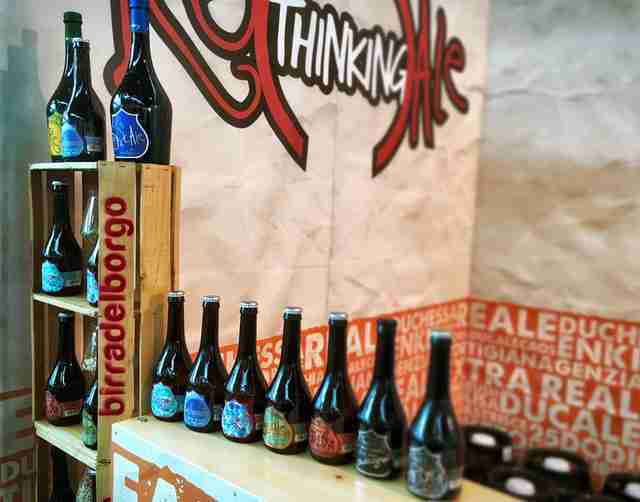 Italian craft beer has overcome the stifling power of the wine industry to make a name for itself. The country itself now actually sits comfortably within the top-10 countries with operating craft breweries, according to recent surveys. As we've said before, it's a textbook example of what a country can accomplish when it's unhindered by deeply ingrained brewing histories. A boom of brewery openings, world-class beer bars, and a local appreciation for what's being produced ensure that this trend will continue.